While all network models are imperfect, this question can only be answered by looking at what SSL (TLS really) does. (1) On top of a reliable network stream (TCP at OSI layer 4) it provides an encrypted bidirectional stream and (almost always) guarantees the identity of the server and (optionally) the client. The authenticating client can be a process, user or some other entity which can properly answer the required authentication challenges. 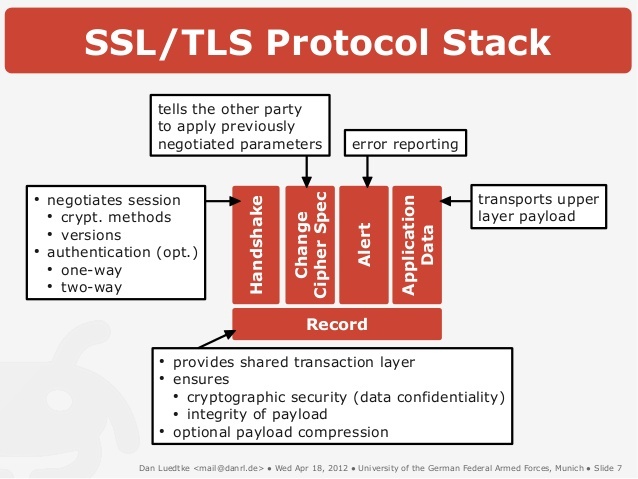 TLS means Transport Layer Security. However since it does implement session identity, integrity, start up, tear down and management it very much belongs in the session layer. The Wikipedia page states that this belongs to the OSI presentation layer. This is probably wrong. The presentation layer is more concerned with marshalling data into non-network-dependent formats and interpreting it on the host side through the appropriate application. At-rest encryption (say in a database field or email message) might be a candidate for the presentation layer, but I would suggest that it's closer to a form of OS or application security. 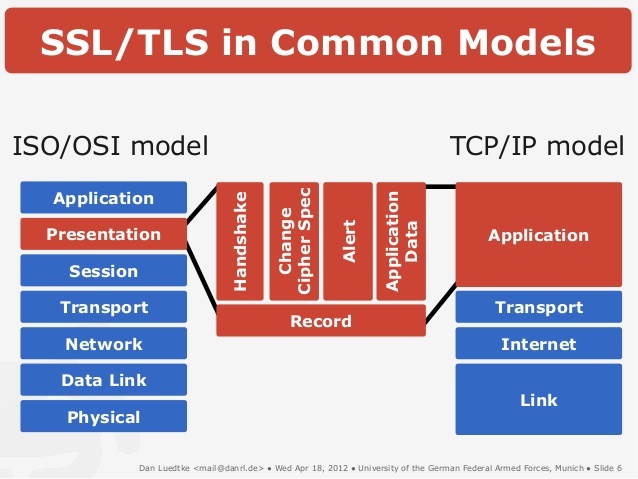 So in reality TLS is mostly session-layer as it provides point-to-point session security for the transport (TCP). In other ways it provides authentication functions which are clearly application layer (OS, utility or user app). So it's a lot of layer 5 and a little of layer 7. It explains how it sits on layers 7 and 5. Can someone please explain (if possible with a diagram) where exactly SSL/TLS happens? The OSI model is defined in the ITU document X.200. The document doesn't expressly mention encryption. This definition is the best fit I can find for what I would describe as TLS doing. I would say TLS is Layer 6. Not the answer you're looking for? Browse other questions tagged tls network protocols or ask your own question. What are good approaches to modify TLS/SSL trafic in order to make a HTTP bot? How can we represent SSL and Firewall in OSI Model? Is encryption possible at the physical layer? Does it make sense to have something similar to IPSec at the data link layer?